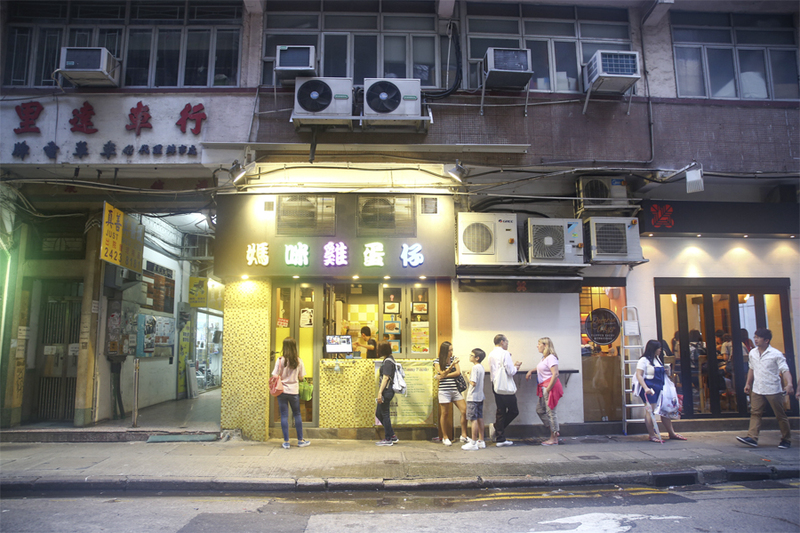 [Hong Kong] The Michelin Guide added a street food section to the Hong Kong’s edition a couple of years back, and it was the first in the world to incorporate that. 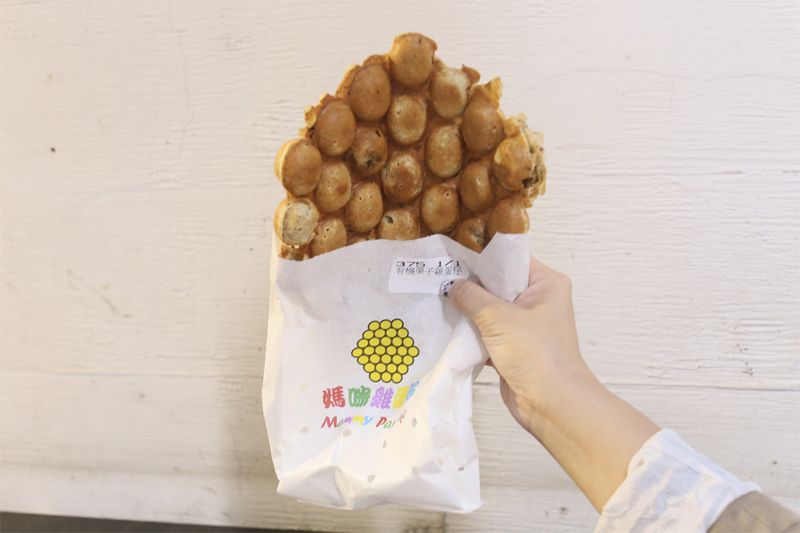 One’s Lei Keung Kee 利強記 at North Point, the other is Mammy Pancake 媽咪雞蛋仔 at Carnarvon Road, Tsim Sha Tsui. 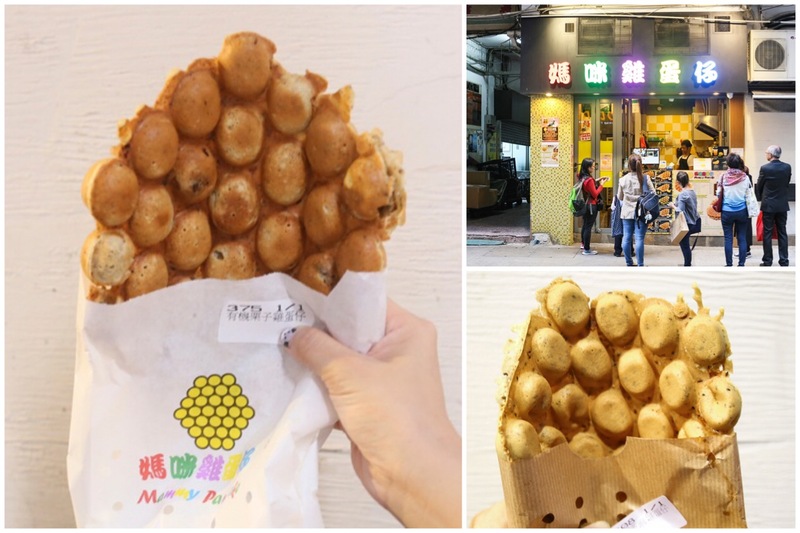 The humble Hong Kong Egg Waffle, otherwise called gai daan tsai 雞蛋仔, is a familiar street food made from sweet, egg-rich batter cooked in a hot griddle with round cells. 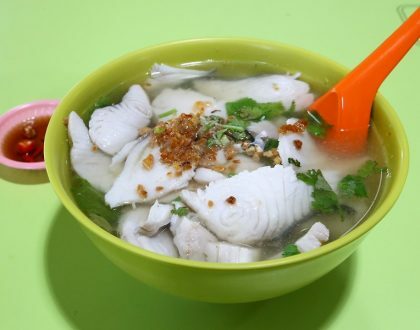 It is a snack that many Hong Kongers love to eat since childhood. I went to Mammy Pancake 媽咪雞蛋仔’s shop at Causeway Bay twice, both times faced with a relatively short queue and wait of about 15 minutes. 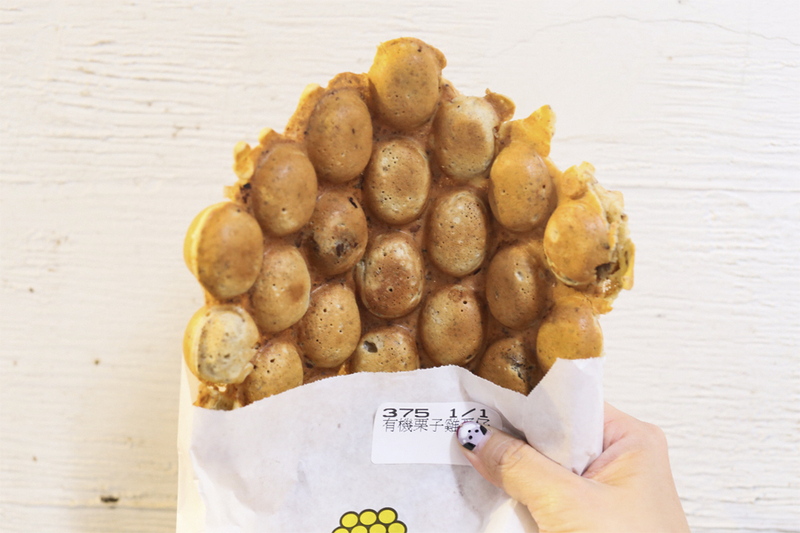 The co-owner who was originally from the banking industry, started by making egg waffles for her child with no additives. Thus the name “Mammy Pancake”. 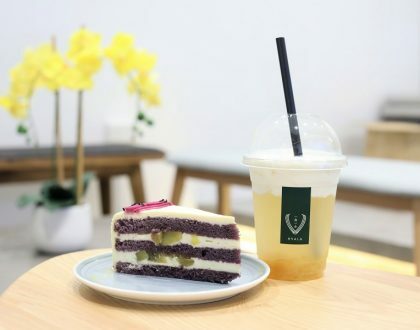 The selection of flavours was quite wide, from the more traditional Original (HK$18, SGD3) and Chocolate Chips (HK$22) to Matcha (HK$23), Double Cheese (HK$20), Salted Seaweed with Corn (HK$30), Pork Floss with Sesame Egg Puff (HK$28) to Coffee (HK$23). They occasionally have seasonal specials such as fruit-flavoured ones or sweet potato during the winter season. 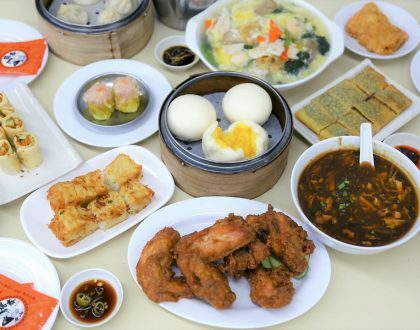 I had the Original Egg Puff, freshly made only upon order, which is said to use quality ingredients without food colourings or essences. 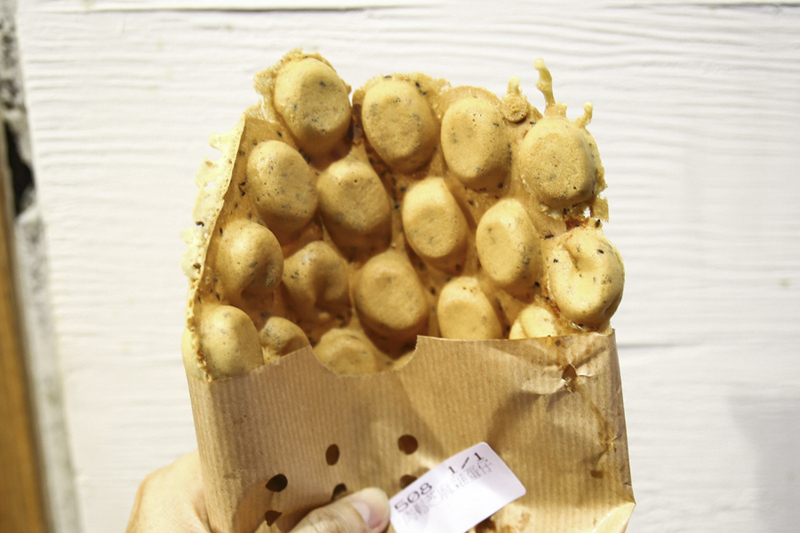 After waiting in anticipation, I got my hands of the piping hot Egg Waffles which looked like it was quite perfectly done – complete with crispy round spheres that were soft on the inside. 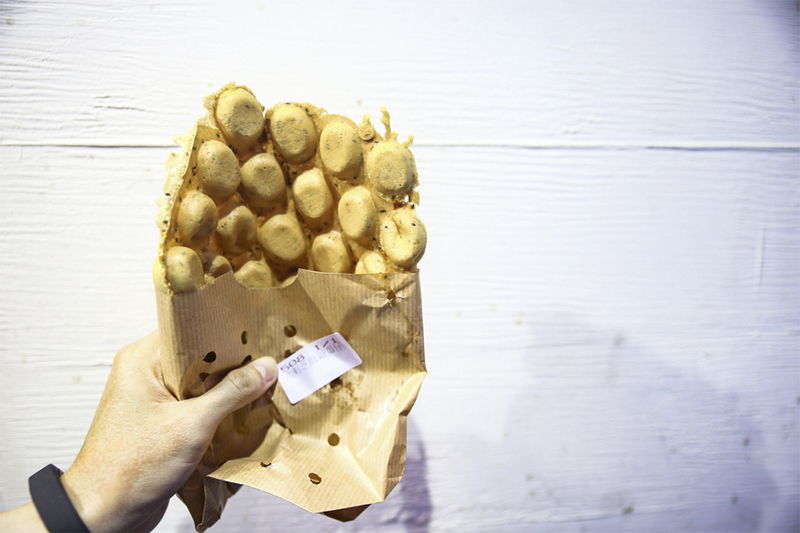 It was overall light and fluffy, seemed airier than the average ones. However, after about a quarter into the waffle, I seemed to have reached my limit, or point of boredom. My friends each took about four to five pieces, and thought they were good, but enough. 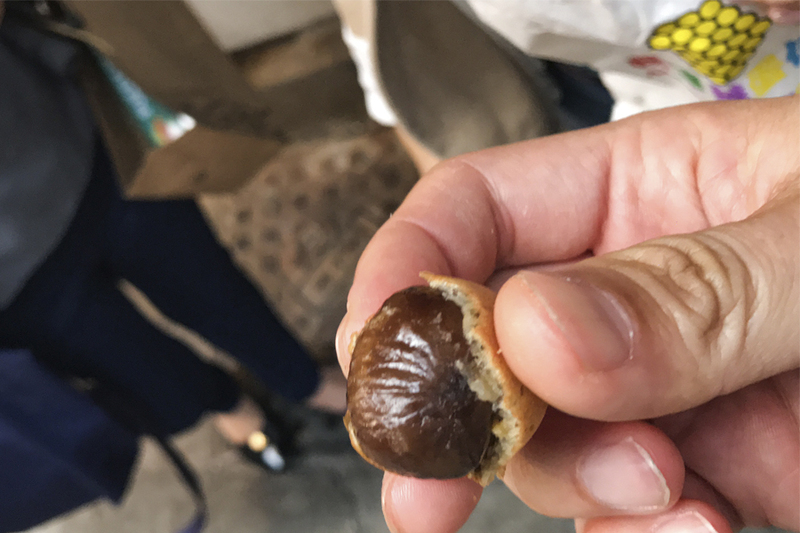 I also ordered the Organic Chestnut Egg Puff (HK$30) and was quite surprised to find those soft, roasted ’gao luck’ contained with the sphere. Looked like it required certain level of ‘skills’ to get this done right. 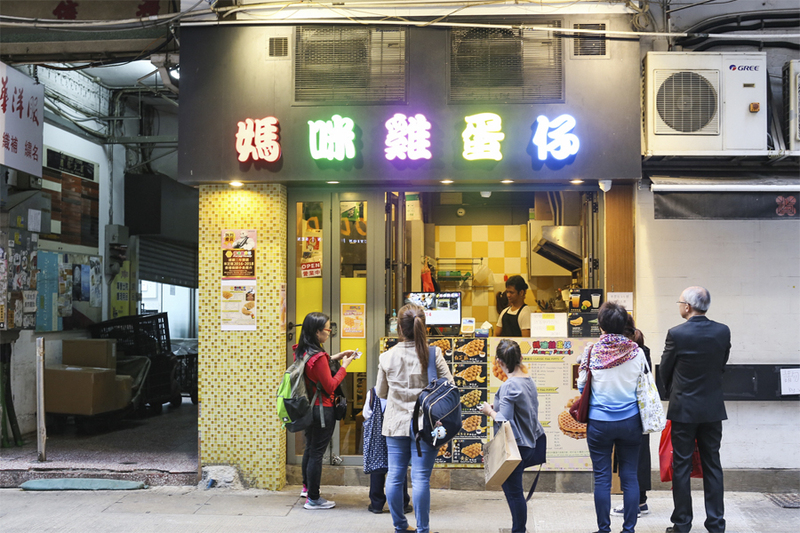 There are a couple of Mammy Pancake shops in Hong Kong, from Mongkok’s Kwong Wa Street, Temple Street at Jordan, to Bonham Strand at Sheung Wan.